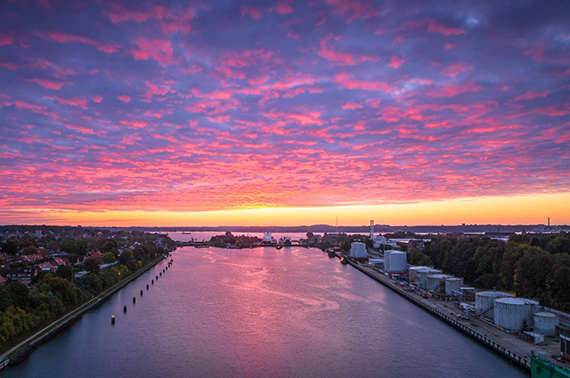 The Kiel Tank Farm is located directly at the eastern end of the Kiel Canal at km 96.8 – km 97.23 before the Holtenau Baltic Sea Locks. 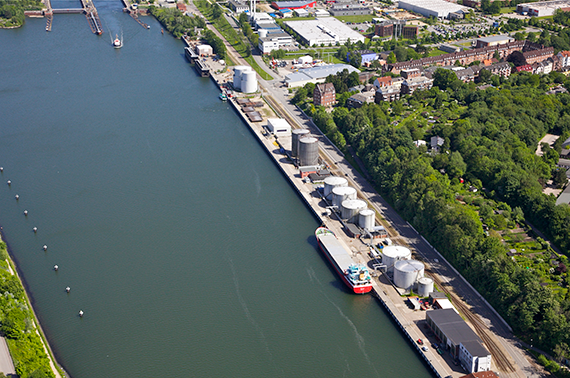 The tank farm has transhipment facilities for seagoing vessels and barges, road tankers and tank wagons (Discharging of HEL). Road access is via the B76/B503 trunk roads. Approaching from the south, take the last B503 exit before Holtenau bridge and turn left into Schleusenstrasse at the first traffic lights. At the T-junction, turn left again into Uferstrasse.